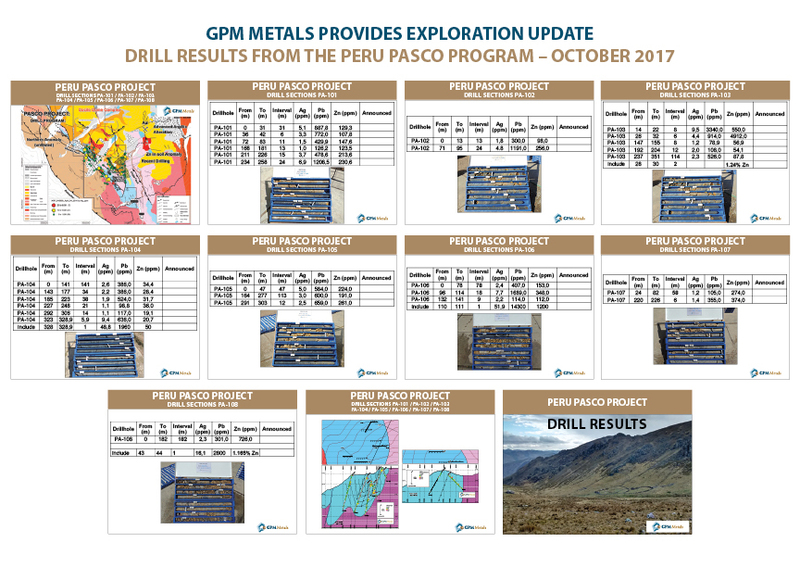 The Company holds a 100% interest in the Pasco Property consisting of 5,500 hectares of staked ground located in the central Perú base metal belt in the Cerro de Pasco Mining District, Central Highlands, Perú. 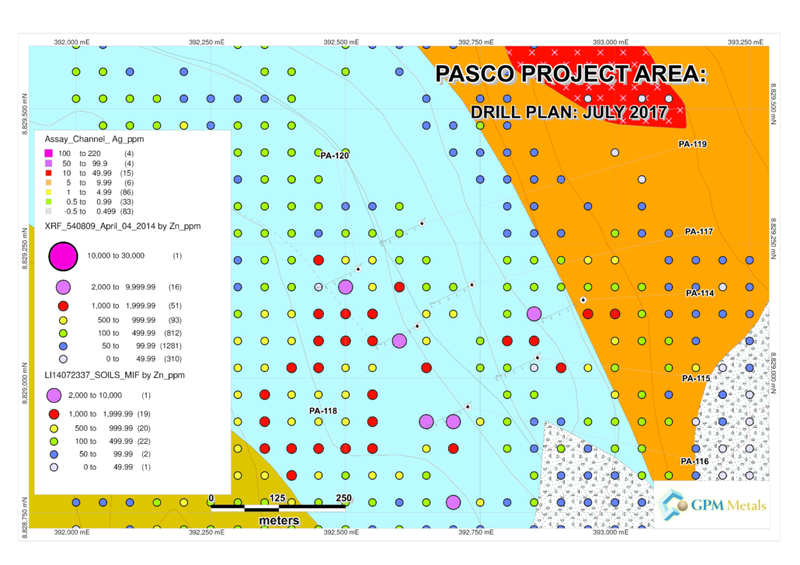 Field work on Pasco Project to date has focused on a carbonate hosted target. 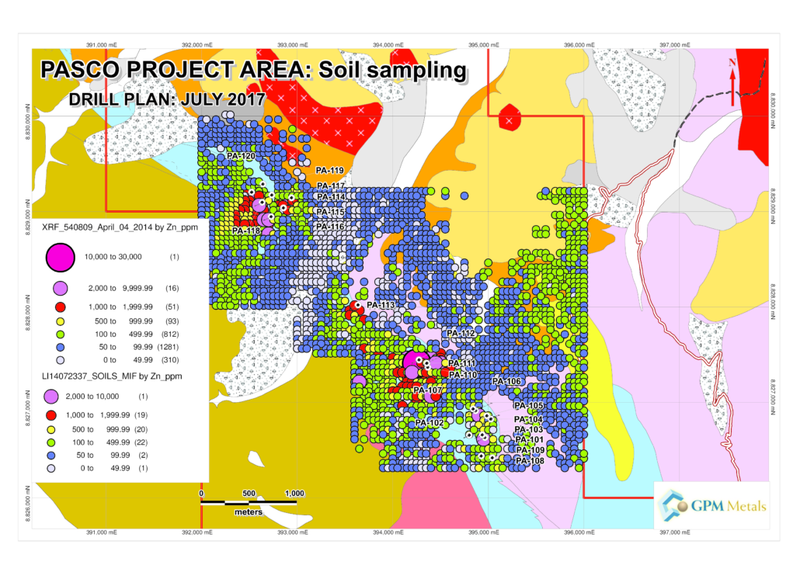 The initial 2564 soil samples covered an area of 3 km x 4 km. Soil sampling results show a 4.25 km x 1 km – Pb, Zn, Ag anomaly trend, remaining open to the south. In addition, 226 rock samples were taken in continuous channels of 30, 50 and 80 meters long. The trench sampling show a continuous silver mineralization in the weathered outcrop. Each channel sample was 5 meters length. 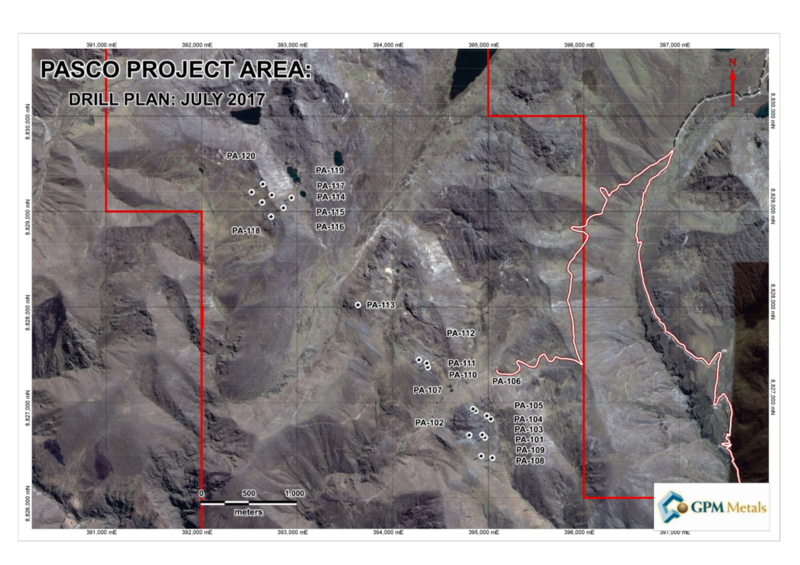 The community of Huachon through the municipal general assembly has agreed to sign an agreement that authorizes the company to carry out exploration for 5 years at the staked mining claims. 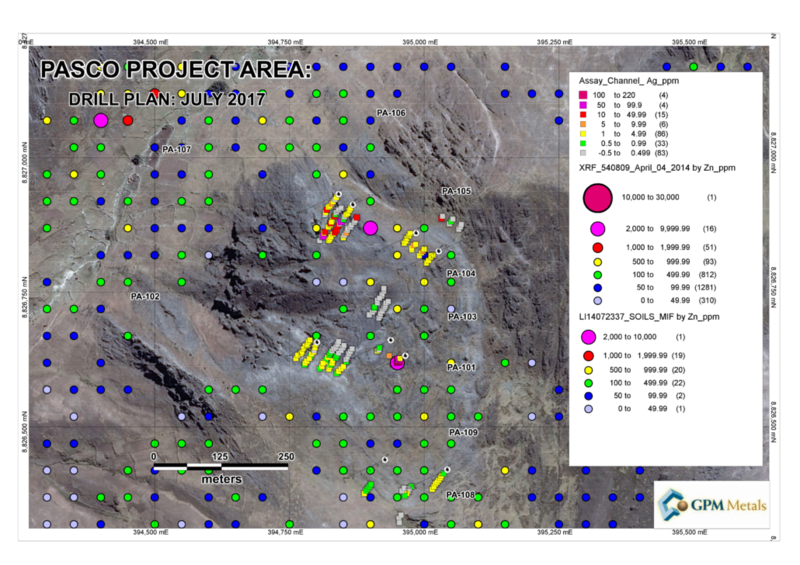 Cerro de Pasco: Open Pit: Ag-Pb-Zn. Host Rock: Limestone (Jurassic) Pucara Group (~ 100 Mt @ 10% Zn equiv. mined + reserves). Atacocha Mine: Pb-Zn. Host Rock: Limestone (Jurassic), Sandstone (Cretaceous). Machcán Mine: Pb-Zn. Host Rock: Limestone (Jurassic) Pucara Group. San Gregorio (Soc. Min. El Brocal): Zn-Pb-Ag. 83.3 Mt @ .26 oz/t Ag, 1.38% Pb, 6.61 %Zn. Host Rock: Limestone (Jurassic) Pucara Gp. Nearby Projects; Shalipayco: Zn-Pb-Ag. ~20 Mt @ 7%Zn. Host Rock: Limestone (Jurassic) Pucara Gp. Regionally, the outcrop area is formed by rocks of the Excelsior Group (Devonian), rock of the Mitu Group (Permian), Marañon Complex (Pre Cambrian-Lower Paleozoic), granite batholith (Carboniferous) and limestones of Pucara Group (Jurassic) affected by Tertiary intrusions. Mineralization in the area consists of Tertiary intrusions mineralizing and replacing Lower Mesozoic Pucará Group limestones (Cerro de Pasco, Atacocha Mines, etc). The auriferous Huachón area includes a main quartz-sulfide vein and several small subordinate veins. 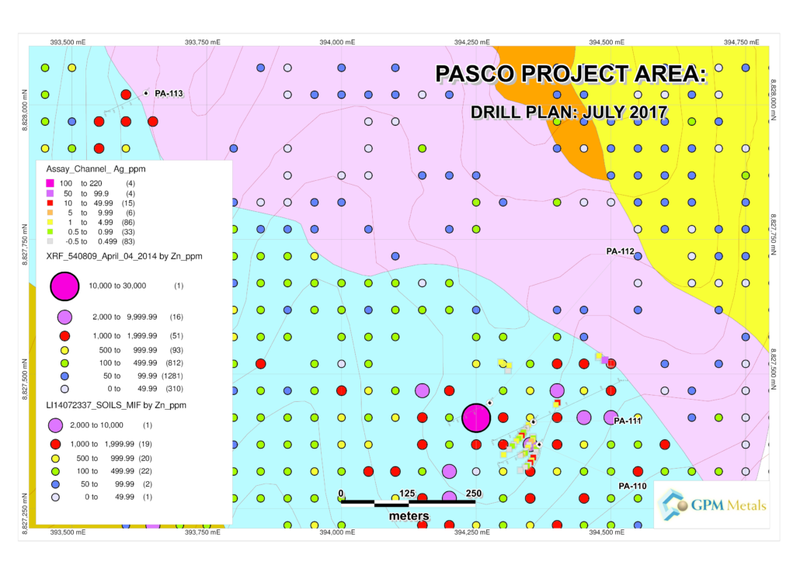 Locally, the project outcrop area is formed by rocks of the Mitu Group (Permian) in contact by an eroded ancline with limestones of Pucara Group (Jurassic). The west contact of the Pucara Group limestones (Jurassic) with the granite batholith (Carboniferous) is causes by a deep regional fault. Easthern contact between these same rocks is still unexplored but must be also a fault. The quaternary material is presented in the valleys with NE – SW direction. 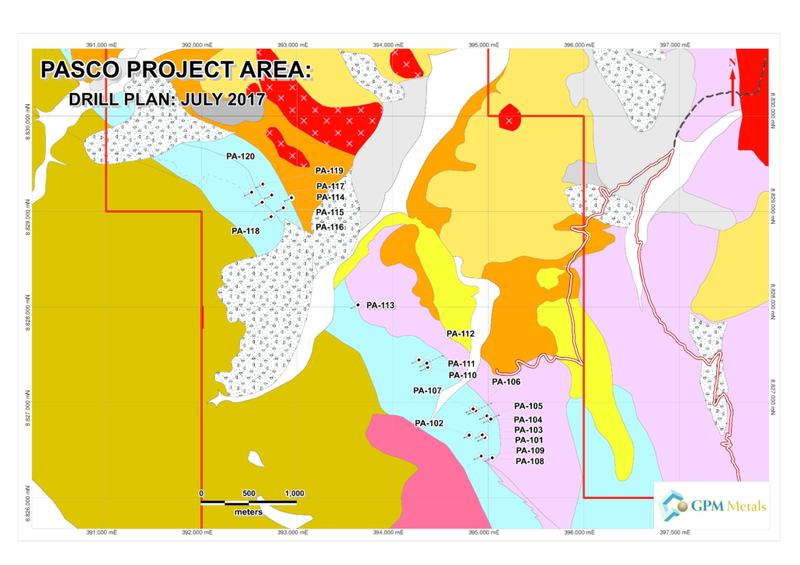 Two mineralization events have been recognized based on field observations, microscopic rock sample study and geochemical soil sampling results. 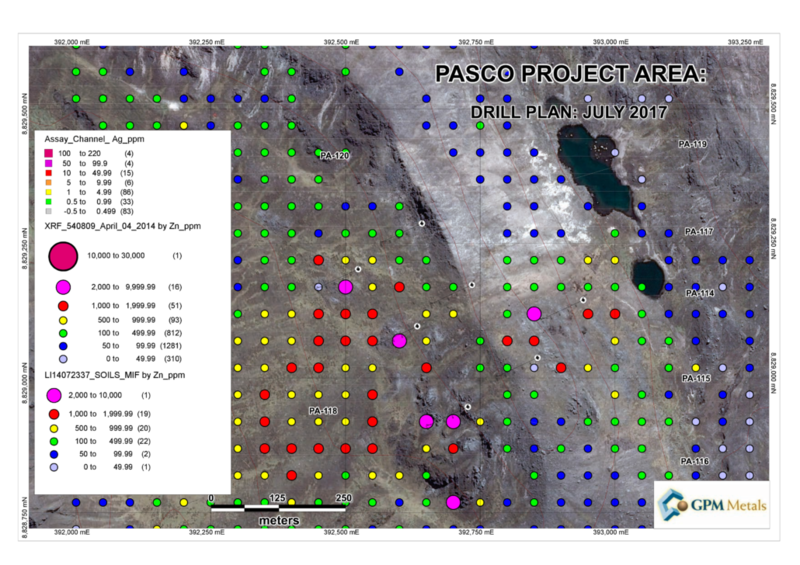 These Pasco Project events have many similarities and are related to the Cerro de Pasco mining deposit mineralization because both develop at the base of a calcareous-sedimentary miogeosynclinal basin of the Pucara-Group, which was affected by the contemporaneous, regional, longitudinal fault; and later on by the Chancay-Cerro de Pasco megafracture. This megafracture cuts and offsets the Coastal Batholith, and forced igneous migration eastwards during the Cenozoie era. 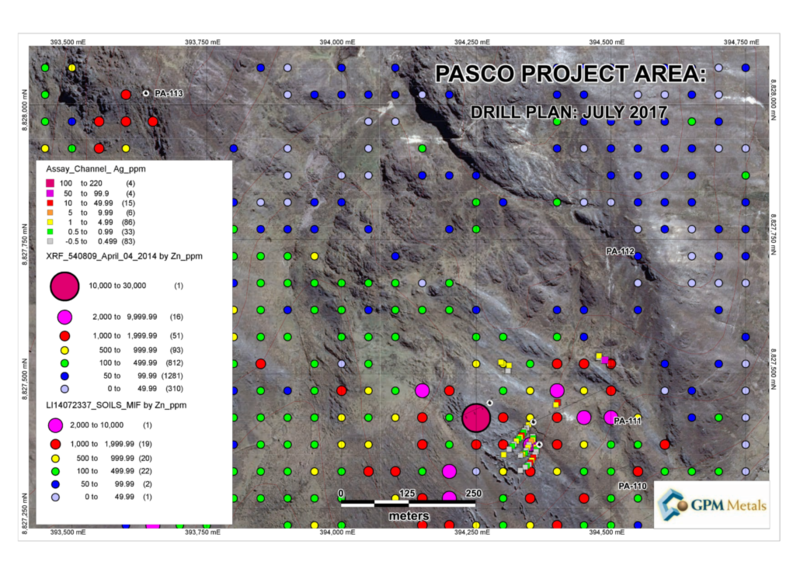 This event has a lithologic control, because deposited mineralization at the contact of the Pucara Group (Jurassic) with the Mitu Group (Permian). The rock values related to this event in a 9 mts rock chip channel sampling at the Milpo area are: 100 ppm Ag, 768 ppm Zn, 5% Pb and 300 ppm Cu. Also appear 1% Zn values. Soil Sampling results are not 43-101 compliant to be utilized for field groundtruthing and reconnaissance purposes. Soil sampling results show a 4.25 km x 1 km Zn, Pb,, Ag anomaly trend, remaining open to the south. 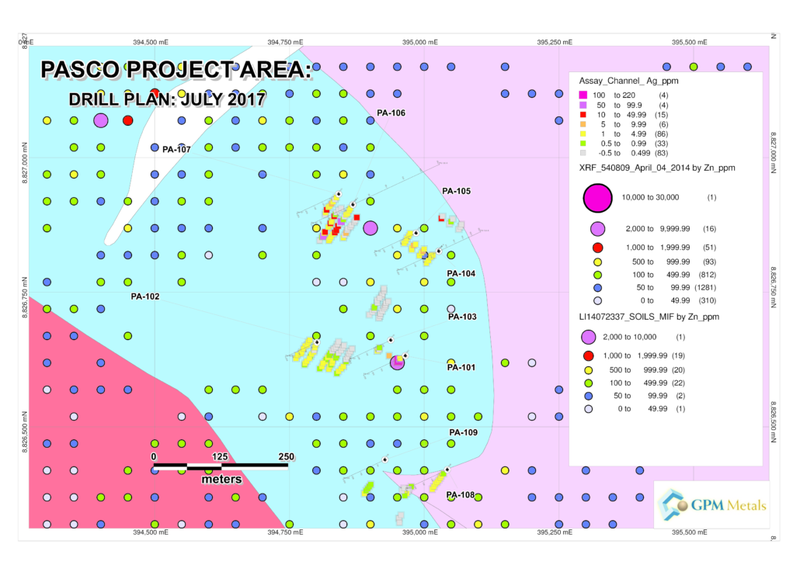 The zinc anomaly ranging from 100 ppm to 27645 ppm Zn, including two contours of 500 mts x 500 mts with 1000 ppm to 3000 ppm Zn and 1000 ppm to 2.7% Zn respectively. The zinc anomaly observed to the east, which has range of 100 to 500 ppm, corresponds to the east portion of an eroded anticline of the Pucara Group. This anomaly is still unexplored. The central portion with a Zn range of 50 to 100 ppm corresponds to Mitu Group. The Silver values correspond to the second event of mineralization: Galena: PbS. Correlation Ag, Pb, Cu, As. The silver anomaly ranging from 20 ppm to 152 ppm Ag. The DELTA Handheld XRF model DCC-6000 have a Limit of Detection (LOD) of 20 ppm for Ag, so Silver lower values are detected by the XRF but they are not be quantified. Based on soil samples analyzed by the conventional method at ALS, it is probable to have anomalies from 5 ppm to 20 ppm Ag related to the Pb anomaly.